Alexander Soldatov is a well-known Russian philosopher and theologian, the specialist in the field of philosophical theory of being, the researcher of globalization, interdisciplinary dialogue, national security problems, philosophical problems of natural science. He was born on June 9th of 1947. In 1970 he graduated from the philosophical faculty, in 1973 – the faculty of physics and postgraduate studies at Zhdanov Leningrad State University. From 1990 to the present time, A.V. Soldatov has been working in State Marine Technical University (SPbSMTU) as the professor, the head of Sociology and Philosophy Department of Natural Sciences and Humanities Faculty, the Dean of Graduate College of Humanities of SPbSMTU. At the same time, he is the professor at the UNESCO Department of Institute of International Relations of Herzen University. The name of this Soviet and Russian philosopher and theologian has become widely known all over the world. A.V. Soldatov is the member of the British scientific and religious forum, the European society for the study of science and theology, the International Society for the study of Time. 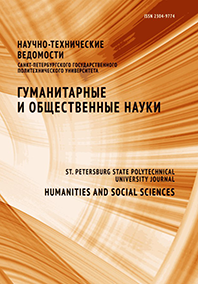 There are more than 150 works of this researcher published in Russia and abroad, among them are 12 monographs and textbooks. High pedagogical skills of A.V. Soldatov and his merits for science have received commendations from the Ministry of education and science of the Russian Federation, the Governor of St. Petersburg, rector of SPbSMTU. He was awarded the medal of the Veteran of Labor, signs of the Honored Science Worker of the Russian Federation and the Honored Science Worker of Dagestan.